A marina could not be located in a better, more central or strategic place: the IJsselmeer on one side, and the Frisian heartland on the other. 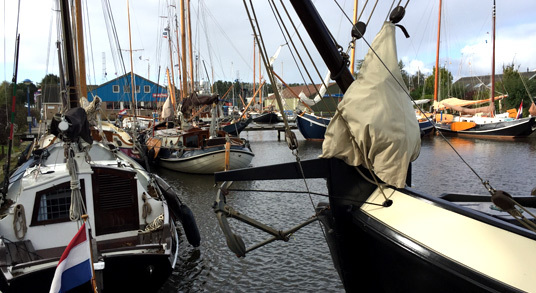 Workumer Marina, a landmark in Friesland and beyond since 1976, is a very popular mooring place for water sports enthusiasts who can enjoy an enormous sailing area in Workum: the open water of the IJsselmeer, or the Frisian lakes, canals and waterways. Workumer Marina is a complete water sports company with modern equipment. There are moorings with semi side jetties, water and electricity within easy reach, ample parking, sanitary facilities, a laundry, children’s playground, heated boathouse and servicing department. The WJH Jachtservice team has lots of expertise and experience in maintenance, repair, refits, painting, interiors and wooden construction. Would you like to view our prices? Below is a list of prices for permanent and temporary moorings. Our Marina always has room for temporary residents. If you’re interested in enjoying our peaceful marina near the centre of Workum, Workumer Marina is perfect. Workumer Marina is a beautifully landscaped, medium-sized marina with 200 moorings. The marina is equipped with every comfort a water sports enthusiast could wish for, so a pleasant stay is guaranteed. Thanks to its central, strategic location, water sports enthusiasts can sail directly from Workumer Marina to the open expanses of the Frisian Lakes on one side, or the IJsselmeer on the other. The IJsselmeer is just a 30-minute sail from the lock, while the Wadden Sea is 90 minutes away. The marina is on the outskirts of Workum, close to the station. The centre is a 15-minute walk away, or just a couple of minutes by car. 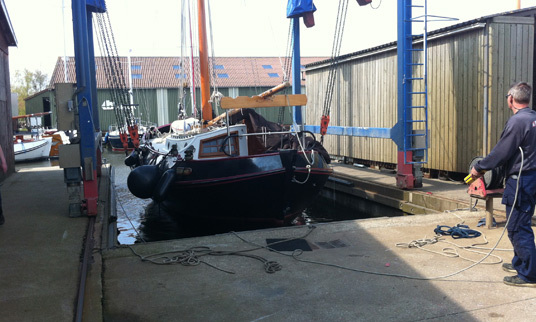 We work in collaboration with WJH Yachtservice to keep your yacht in perfect condition. All repair and maintenance work; installation/repair of engines, electrical installations, gas installations, metalwork and welding, and stainless-steel work.